Big Brother Spoilers > Big Brother > Big Brother 20 > Big Brother 20! 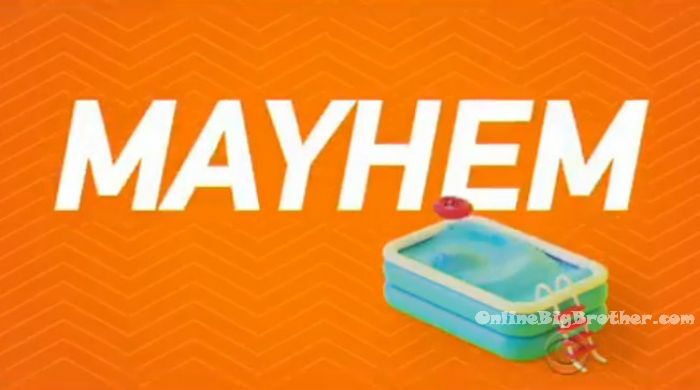 Mayhem, Manipulation & Madness! Well Big Brother fans …there is just over a month until the season premiere of Big Brother 20 airs on June 27th! We will be posting the cast of house guests as soon as they’re released (sometime around June 18th). As always there are lots of rumors about who the cast will be for the 20th season. Will it be an All Stars season? An all newbies cast? Or a mix? Tell us what you want and why in the comments section below! Catch up on past seasons of Big Brother: Test out the live feeds for FREE! Drop an emoji that lets me know how you feel about #BB20 almost being here ????? and tag a friend that will be just as excited as you! ?????????? Thanks for all the work you and Simon do. I’m really looking forward to the new season. Welcome back Chessie_K. Are you hoping for vets, newbies, or a blend this this season? I would like to see All-Stars 2, but I just want a season without production interference like Paul’s 3 weeks safety. I look forward to the new season with hopeful trepidation. I’m hoping we get more than one or two folks actually looking to win the game and not just gather some followers so they can hit the big meet and greet circuit with what’s his face and that girl from that show you might have seen once. We’ll see when they make the cast reveal if they are going to try to make it actually interesting and not just rejects from dating shows hooking up with whoever to try to become America’s most annoying sweethearts CBS wants to shove down our throats. I’ve never watched Amazing Race. I don’t see that changing. The problem Big Brother has had with its casts the last few years is that they are by and large full of people looking to gather social media followers more than they are trying to win the half a million dollars. When you add in the fact that most normal folks cannot drop out of life for 3-4 months which leaves folks who are looking to break into some part of the entertainment industry. The “careers” these people have for the most part are disposable and meant to simply pay the bills until they make it. I’m not sure what they can do to entice folks to actually try to play the game unless they increase the final prize, make the season shorter, or actually avoid the more obvious social media fame whores. Apparently there is enough money from social media post BB that just making it to jury is enough to make it worthwhile. 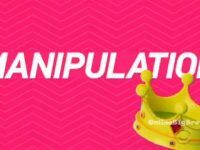 The glaring disconnect between the televised show and the live feeds display just how much the producers are willing to manipulate the facts to create a story that didn’t happen kills the “reality” of the show. The few times I saw parts of the televised shows last season I had a terrible time trying to figure out what was going on because it was just so different from the recaps here. It was an entirely different show. I love the concept of the show but it’s execution has been absolutely terrible the last half dozen r so seasons. I come here hoping the show becomes the real entertainment it has the potential to be. If I want to watch folks hooking up, I can watch Bachelor or Bachelorette (I won’t). The showmances are painful and intensely irritating. This is bang on right..
1) “social media followers more than they are trying to win the half a million dollars” – add to this they come in with businesses and they use the exposure of the show to further their business. Hope if they do another Celebrity Big Brother they have a better cast. I felt like I was watching The Love Boat or maybe Fantasy Island. C’mon, Homierosa? 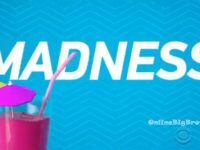 I want an all new cast and I want food competitions like the old days!! I wonder how it would change if everyone started on slop and had to earn real food…or really any of the other perks the previous idiots took for granted. Want a cheeseburger? Then clean that nasty shower. Thanks Vic. BB: THE SILVER SEASON All contestants over the age of 65. 2 to 1 ratio of women to men. Watch that blue hair come out in bunches when those cougars fight for a snuggle buddy! Food competitions for raisin bran and prunes. Metamucil pong. Who’s with me? Min O Pause, I was thinking the same thing. Lots of diary room scrambles for meds, like BP, cholesterol and Viagra. Everyone sleeping by 10 pm, so BBAD would have to reprogram to start at 7 pm. Tick, tick, tick. Only 17 days to go. Hopefully they announce the cast soon. I can’t wait to get this season started. 20 seasons, 18 years. Time flies !! To my Brothers in Kraken, Simon and Dawg. Great to see you again !